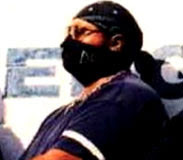 The 10 year anniversary of James Stinson’s death will be on Monday 3rd September this year and you don’t need me to tell you that his music with Drexciya is more popular today than ever before. There is still something so fresh and unique about their sound that it could have been released last week and thanks to Clone and others it is being released again or at least kept mostly in press, although it is ultimately the fans, new and old, that drive demand and keep interest in the music alive. For electronic music especially to still sound so fresh is difficult, with many other genuine innovators in this field sounding so dated and very much of their time 10 or almost 20 years later in the case of Drexciya’s earliest music. Staying so long underground certainly helped them in this but in my opinion it was also because what they did was always original, fun and treated as an experiment. They also had a great concept behind it all that continues to speak to many different types of people in many different ways. I posted this early to give you a few days to think what to do but maybe on this special anniversary you could tell a friend about Drexciya by posting your favourite video on Facebook or Twitter, making a mixtape for someone or just talking to someone that maybe hasn’t heard about them yet. I also found this article on hip hip/club icons that died too soon and there is James alongside luminaries like The Notorious BIG, Aaliyah and Larry Levan. The main reason I set up DRL in 2005 was to archive James Stinson’s interviews and you can still read his own words here. The Dutch online radio channel "Concertzender" is making a three part tribute about Drexciya, starting tonight. It's bad I can't record it, but it will be archived online as a stream which you can also rip if you look for the right tools. If you want to listen to the first part of the tribute. WOOOW! yesterday night at golden pudel, hamburg! drexciya tribute night. DOPE!